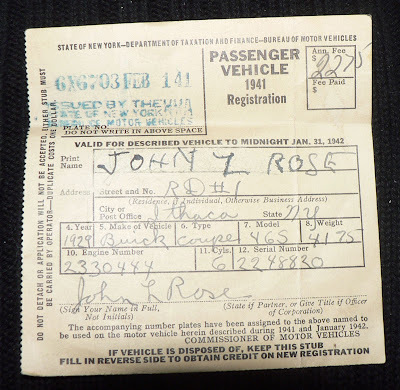 Vehicle registration for a 1929 Buick Coupe. Dated February 1 1941. 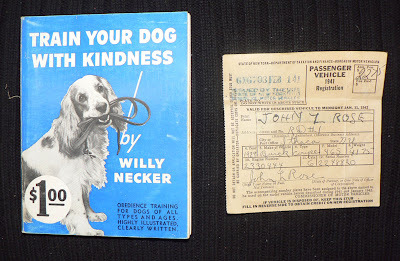 Found in "Train Your Dog With Kindness" by Willy Necker, published by Hall Pub. Co., 1953.